Due to the Boxing profile the former four - division Champion Adrien Broner (33-4-1, 24 KOs, 1 NC) surprisingly maintains, everyone expected Broner to throw more punches in his fight on Saturday night and this didn't skip his opponent Manny Pacquiao (61-7-2, 39 KOs) , who admitted the surprise, after the fight. Eight - Division Champion Manny Pacquiao successfully defended his WBA world welterweight title against Broner, in his first fight since turning 40 and in his 70th professional fight at the MGM Grand Garden Arena and many believed the younger Broner, will make use of the age advantage. Manny Pacquiao rocked Adrien Broner in the 7th and 9th round of the 12 round fight but couldn't finish him off, as Broner with shaky legs found his way out of those troubles and stayed on till the end of the fight. However, Judges Tim Cheatham (116-112), Glenn Feldman (116-112) and Dave Moretti (117-111) favored Pacquiao’s activity and accuracy. 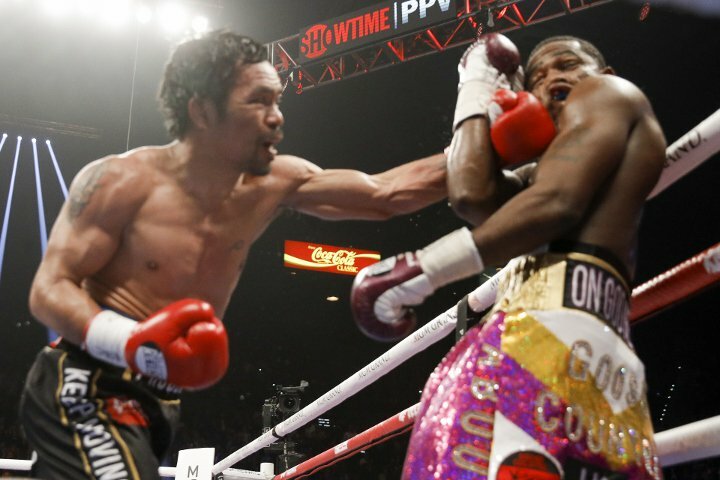 Pacquiao outclassed Broner, throwing almost twice as many punches (112-of-568), as Broner and connected on more than twice the amount of shots Broner landed (50) but still gave some Praises to the Cincinnati star.